The 31-year-old is a fan favourite not only because she is a top player, but also because she is a great brand ambassador and an advocate for sport development. But like any other player, she looked up to different role models. “I have two older sisters. The oldest and tallest sister started playing volleyball first,” Kim said. “As an energetic child, I followed her to the gym everyday and helped the team gather balls during practice. Naturally, these experiences led me to gain interest in volleyball and that eventually paved the way for me to become a professional player. 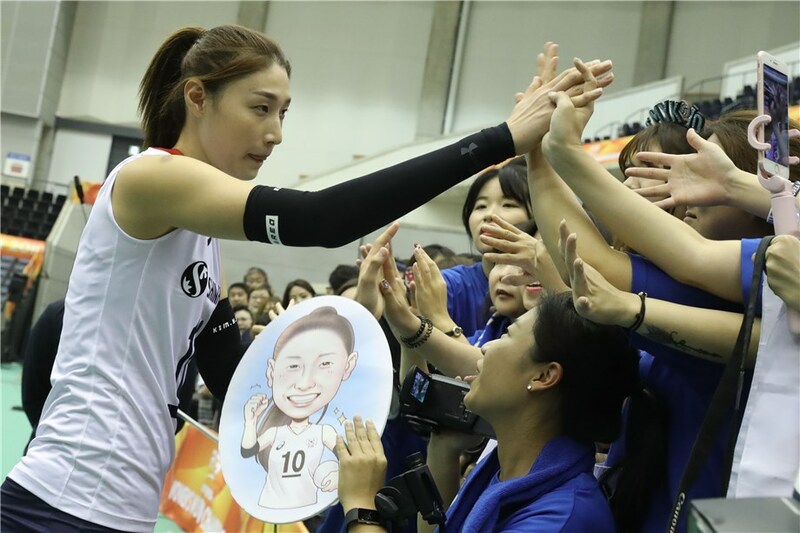 Kim went on conquering medals and individual titles through playing for her national team and got the opportunity to continue improving her craft through playing in top clubs in China and Turkey. Over the years, she developed her leadership skills and whatever she learned in the course of her career, she is now passing on to her Korean teammates. “As you may know, I’m the only Korean volleyballer playing overseas. Though it is difficult for other Korean national team members to acquire information on players from foreign countries, my role as the leader of the team is to deliver as much information as possible to the other Korean team members. Kim is undoubtedly a dominant volleyball player but her winning attitude is what makes her distinct from other players. She is never satisfied with her achievements and is committed to excellence. Kim’s club season is going well so far as her team Eczacibasi recently won the Turkish Cup. “Before the season, the goal of our team was to win cups in five competitions. At present, we have won two and there is one more competition left. I wish to complete this year by lifting three cups. For her, playing in one of the best clubs in the world is a big honour and it is a big privilege to play with the some of the brightest stars in the game. Kim’s determination has helped her achieve many titles at a club level, but she wants her horizons to expand with the national team and the Olympic Games and world level events ahead. “Every year I set up goals and commit to achieve them. During practice, I think about these goals and commit myself to push and work harder. “I’ve accomplished many things at the club level. All the teams that I played for were at the top of the rankings and have won many cups. However, I’m not yet satisfied with results as a national team member. So my primary goal is to obtain the golden ticket to the Tokyo 2020 Olympic Games and my ultimate goal is to acquire an Olympic medal there. She still finds time from her busy schedule to help in youth sports development through her academy and her charity activities. “I am currently running a sports youth academy in Korea. Many children of different ages attend the academy and participate in volleyball, football, basketball and other sports activities. The reason why I established the academy was because I wanted to give back all the goodness that volleyball has given me. As time went by, I realised the importance of youth sports, since children who participate in sports activities become more sociable and healthy individuals. 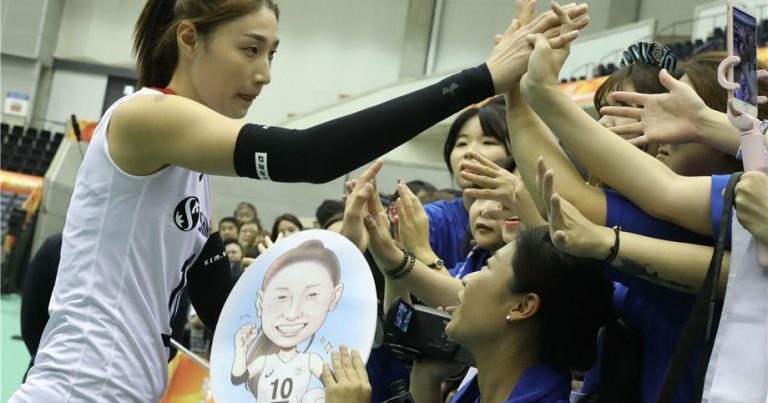 Kim will be among the top players fans will be keen to see at the Volleyball Nations League, but she is also thrilled to play for her national team since there have been a lot of developments since the last edition of the competition. “The members of the Korean national team will be called on April 28. I will not be able to join them at that time because of my commitment with my club in the Turkish league. There has been a major change in the Korean national team this year because a foreign coach has been recruited for the first time in the team’s history.